Exquisite handmade Filigree Earrings transform your look, they will add shimmer and color to your days and evenings. 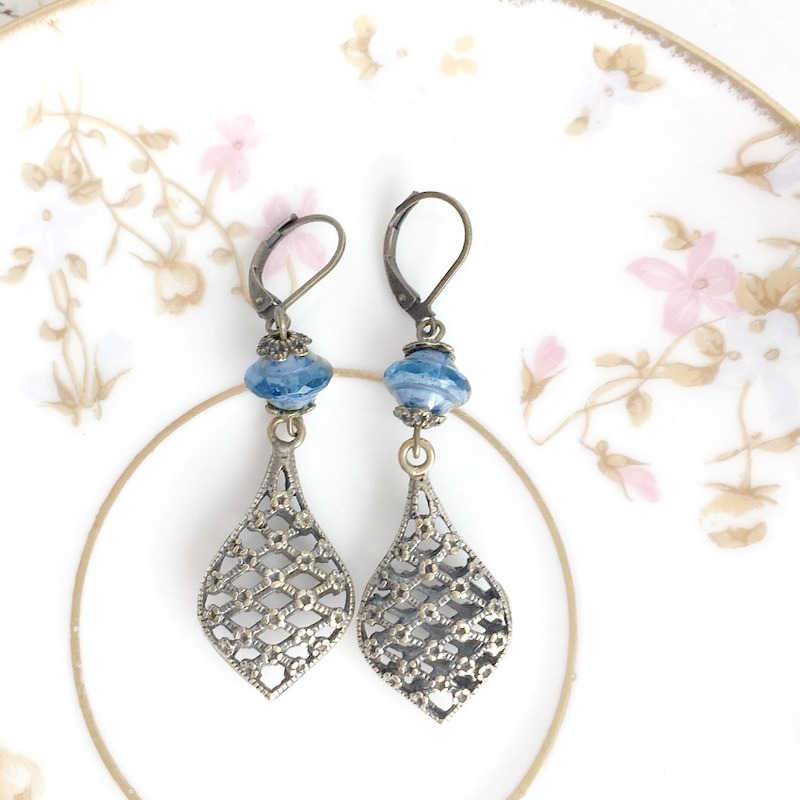 Silver plated filigree drops add dramatic elegance to the vintage polished blue beads, they will frame your face beautifully and complements your glowing complexion. Designed and meticulously created by American jewelry designer and artist Georgia Hecht. Wonderfully crafted in our USA, these are sure to become your favorite in your jewelry collection. One of a kind, exclusive. Measure 2-3/8" l x 5/8"w.